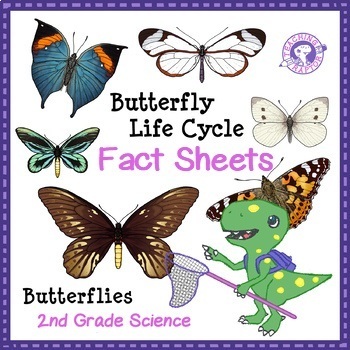 Help students understand the life cycle of 5 different butterflies. 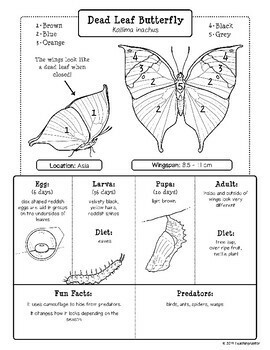 Information about the following butterflies is included in full color and black and white. The black and white pages include a color by number so that students can still access information on the coloring of the adult butterflies. 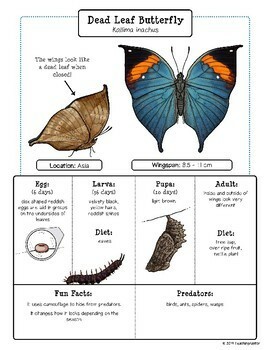 The fact sheets include information on the egg, larva, pupa, and adult of each butterfly. Habitat, adult wingspan, the diet of the larva and adult, fun facts, and predators are listed. Students will be excited to learn about these interesting butterflies and their life cycles! BUNDLE: Butterfly Life Cycle - Research and Creative Writing Project - BEST DEAL!